Enter the bootleg Chamber of Secrets at your own risk. Hey, no one ever said tomb-raiding was easy! After two episodes of just straight-up road tripping, the crew’s finally made it into the actual tomb! It still waits to be seen whether or not it was actually worth it though because so far, there ain’t that many treasures to be found. I stand by my previous declaration that this entire drama is shaping up to be your typical amusement park’s haunted house tour…but just with magic thrown in. More so than the previous episodes, I’m finally getting that fantasy vibe (albeit in a less cool Harry Potter way). I look forward to seeing what craziness they will get up to, but also know well enough to prepare for some disappointment along the way. Case in point: who knew Wu Xie was such a wimp?! For a couple of guys who are trying to protect ancient artifacts in the tomb, they sure have no problem literally knocking down its walls. Uncle Three and Pan Zi successfully chisel their way through the entrance of a room that houses a stone coffin and an altar that contains a headless mummy. NBD. When Xiao Ge spots the coffin, he starts making these weird noises at it. Imagine Parseltongue from Harry Potter, but less hissing and more croaking. Black smoke billows out of it, everyone suddenly kneels and bows, and Xiao Ge keeps on croaking. No explanation is given for that particular display of WTF besides Xiao Ge instructing everyone not to touch anything, especially that coffin. 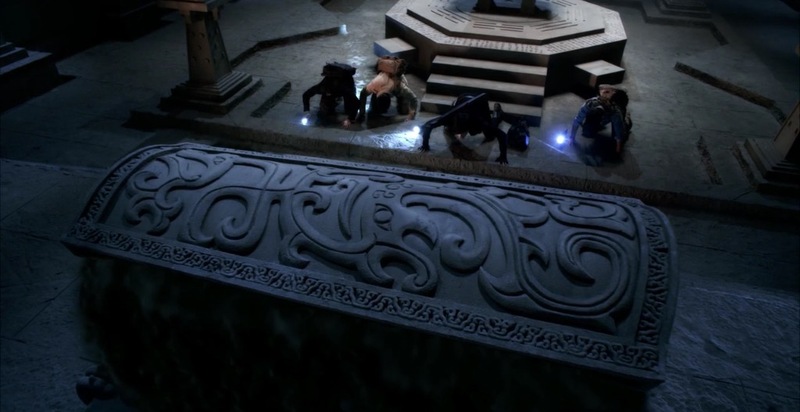 The crew continues their flashlight expedition and finds a hole in the wall. Through it, they enter another room of the tomb with seven coffins in there. On the wall, there’s also a story written about a lord from the Warring States period that had the ability to borrow spirits of the dead as soldiers. His body was kept in this tomb after he committed suicide to deal with some underworld drama, and in hopes that he will reawaken someday. Eek. Try not to disturb the mummies. Xiao Ge chases after the intruder while the rest of the group continues exploring like nothing happened. 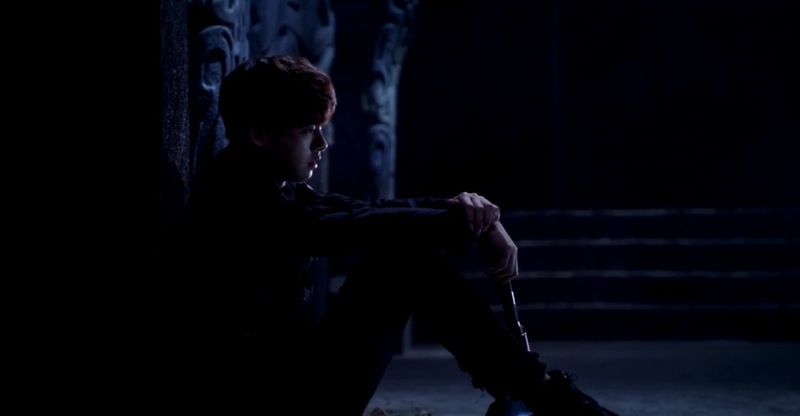 Wu Xie wanders off to a little corner by himself and finds a backpack filled with notes and drawings about the tomb. 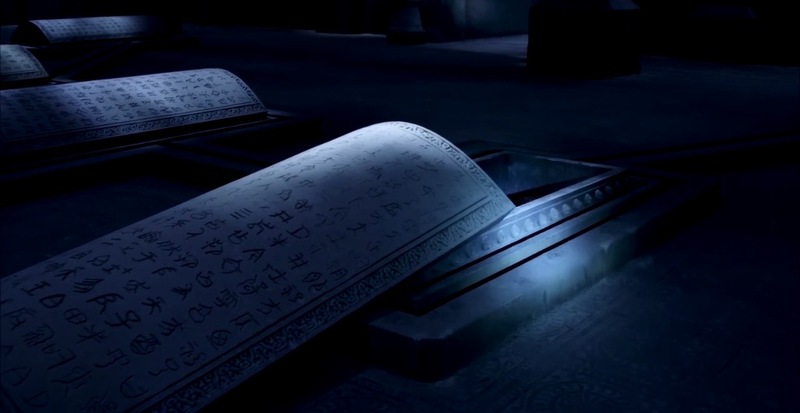 He remembers seeing something similar in his grandfather’s tomb-raiding diaries. But when he calls out to Uncle Three and Pan Zi about his discovery, they’re nowhere to be found. As he’s relaying what happened to High Shao and Cheng Cheng via his headset, all the coffins already him suddenly descend into the ground. Cue the static, and the connection is cut off. The coffin with the two corpses suddenly pops open, and they sit upright and stare straight at Wu Xie! He does the wise thing (for once) and makes a run for it. 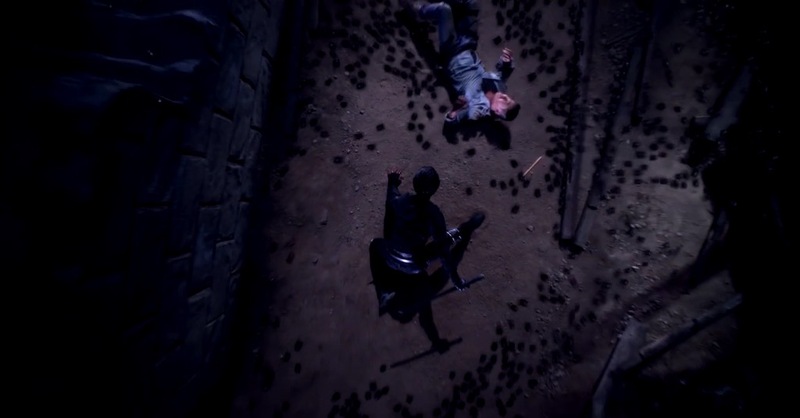 When he escapes to another room, the connection to High Shao and Cheng Cheng is restored. He tells them that he’s figured out that of those seven coffins, only one of those houses the “real” corpse, and the others are just tricks. Wu Xie comes across another hole in the wall, and immediately goes into it. When he finally emerges from the other side of the tunnel, he finds himself back at the entrance of the tomb that he was at earlier. Womp. 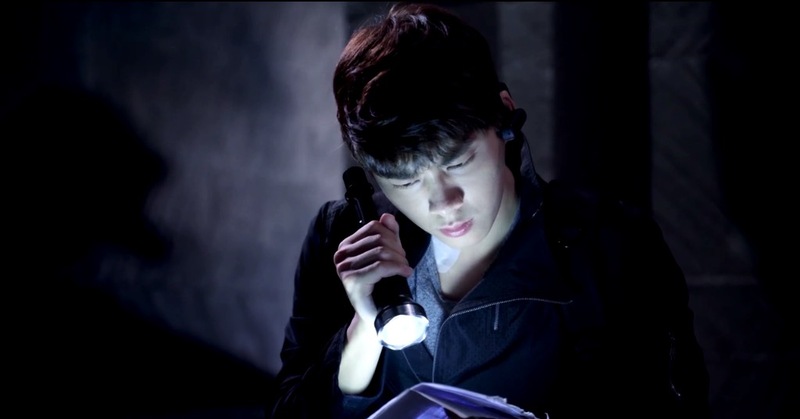 He takes out the notes that he found in the backpack and discovers that one of them is actually a map of the tomb that shows a secret passage in the walls. Trying his luck with the random stones poking out of the wall, he finds the right one and opens the entrance to the secret passage! 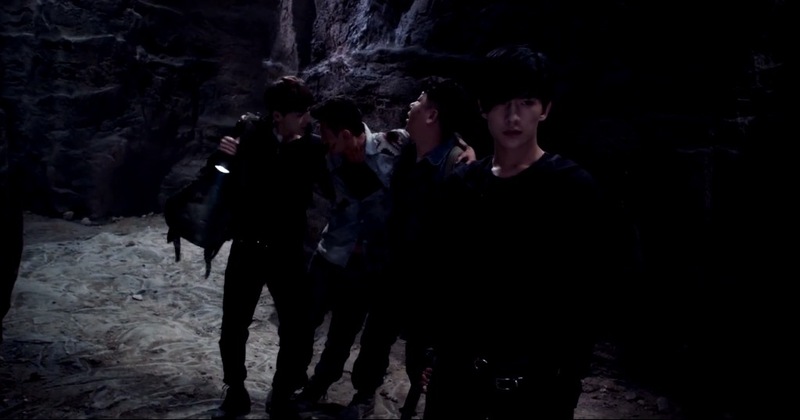 Wu Xie comes across yet another dead foreigner guy that is slowly being devoured by the corpse eating beetles we first saw in the Cave of Horrors. 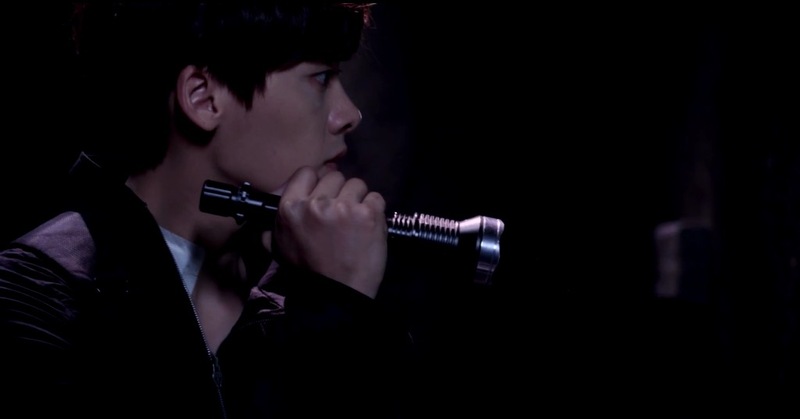 Pan Zi suddenly appears outta nowhere and starts shooting at the bugs at Wu Xie’s feet and yells to follow him. Someone take his gun away, please. Turns out that he and Uncle Three weren’t mysteriously abducted, but just got lost and separated in this maze of a tomb. Wu Xie and Pan Zi suddenly see the previous intruder lurking around them. They shine their flashlights and see that it’s…Pang Zi! Yup, the random guy who assisted Wu Xie and High Shao in their Mongolian desert chase. Before Pang Zi can even properly explain what his deal is, there’s suddenly a disgusting amount of corpse beetles attacking him. There’s so many of them that the guys can’t fight them off fast enough with their torches. When it looked like they were going to be overcome by the bugs, Pan Zi grabs the other two torches and tells Wu Xie and Pang Zi to get out. Watching Pan Zi slowly disappear into the sea of beetles, Pang Zi contemplates firing the gun at them before Xiao Ge jumps down from a ledge with his hand bloodied to scare off all the creepy crawlers. Cool, thx. Xiao Ge tells them all to leave now because he’s coming. Huh, who you say? A ZOMBIE, THAT’S WHO! The four of them bolt from the slow-moving zombie, only to get trapped in another tunnel. Xiao Ge turns on his spidey senses and can feel someone or something else coming around the corner. 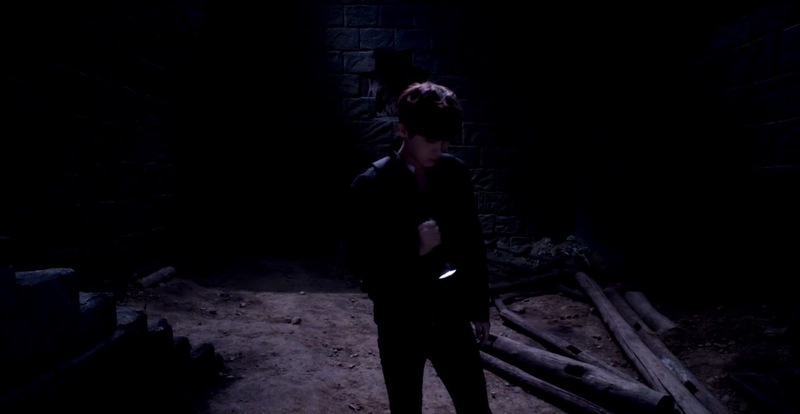 While wandering the tomb alone, Wu Xie leaves behind a can of Red Bull as a marker for Uncle Three to find him. Way to litter, dude. 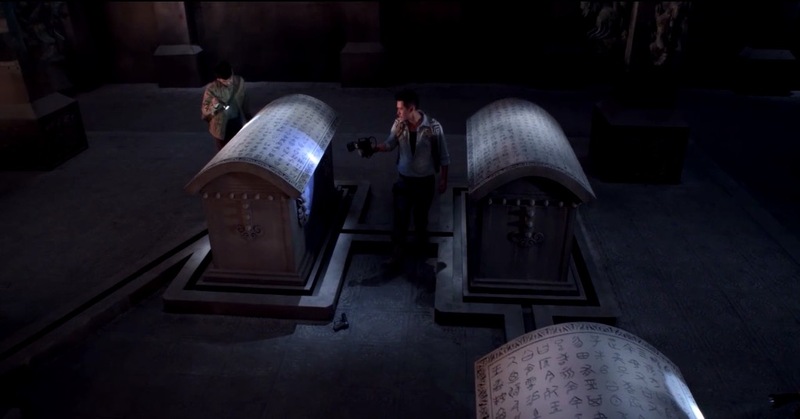 After losing connection with Wu Xie when he falls into the secret passage, Cheng Cheng peer pressures High Shao to go into the tomb to look for him. 02205. 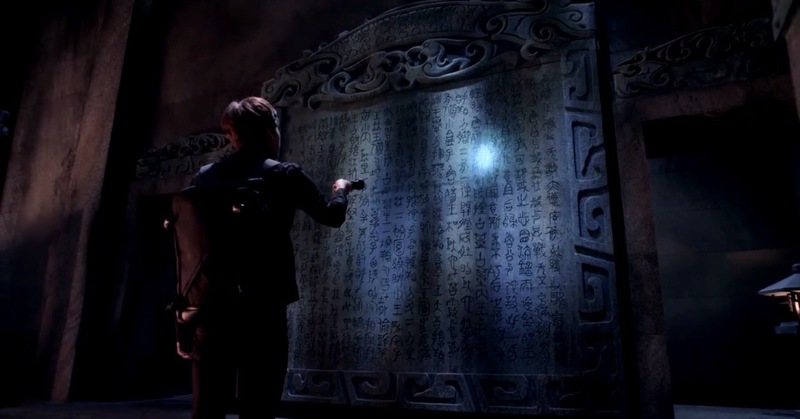 Wu Xie wants to know what the meaning is behind these “secret numbers” on the belt buckle of the dead foreigner guy. Obviously too scary for Wu Xie. The whole series is out. Are you watching this in Chinese? If not can you please tell me where you can watch it in English. The last 2 episodes are so intriguing I need to know what they’re saying. Lol. Thank you for recapping this!